Information about equipment, operations and safety; insurance coverage, manufacturers and locations. Covers everything that you want to know about hang gliders and hang gliding. Sections include: getting started FAQs, videos, books, CDs, photo gallery, video gallery, weather to fly, periodicals and magazines, equipment, training, locations, organizations and clubs. A database intended to list all existing hang gliders, manufacturers, and their features. Free-flight shop at Point of the Mountain, Utah, USA. Information, videos and images relating to foot launched powered aircraft including hang gliders (aka FLPHG, PHG) and paragliders (aka paramotoring, PPG, FLPPG). Hang gliding information and instruction. Launch locations in Australia with wind directions with a clickable map. Listings of hang gliding clubs in Australia, rules of the air, for-sale forums, photos, competition resources, hang gliding desktop themes, weather maps, FAQ, basic information about hang gliders, and glider reviews. Hosts a submission form for hang gliding and paragliding records for each of the United States of America, classified For Sale advertisements, links, message board, chat page, and the Arkansas Hang Gliding web site. Everything hang gliding: online cross country competition, photos, links, stories, classifieds, glider reviews, FAQ, thermalling tips, pilot chat. Photos and illustrations examine the sport of hang gliding, with details of the aircraft, the equipment involved, how to fly it and how to become a certified hang glider pilot. A sports purist site that provides information, links, and more for those interested in Hang Gliding. 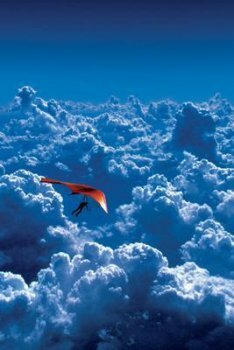 Site devoted to hang gliding, paragliding and photography of such. Anchor page by Norwegian Hang Gliding. Information about hang gliding. Sections include: common questions, more questions, "Is it safe? ", where to fly, and tandem flights. Almost daily reports on interesting hang gliding issues. All the upcoming competitions, as well as previous copies of the Oz Report. Named newsletter of the year in 2002 by the USHGA. Paramotor, paragliding and hang gliding equipment sales and training in Canada, Ontario. Details of lessons and products. Hundreds of links related to hang gliding and paragliding. Clubs, schools, personal pages, useful information, some goofy stuff, and lots of HG photos. Description of two launch areas (front and back) and three permanent landing areas. Details of site, store, restaurant and accommodation. Czech based web resource for paragliding and hang gliding pilots. Many features including weather, advertising, schools, competitions, and photo gallery. A Bulgarian paragliding and hanggliding cross-country flying site. Provides details of site, including cable lift, records broken there, pictures and weather. Offers beginner to advanced training in ultralight trikes, paramotors, paragliding and aero towing hang gliders. Details of instruction and equipment. Hang gliding courses and tandem flights in Jämtland, Sweden. Company providing instructed paragliding activities in Oludeniz, Turkey. Aerotow and tandem instruction, aerotow events, equipment. This exciting introduction to Hang Gliding allows you to soar with an expert USHGA certified tandem pilot and experience first hand the thrill of flying. Hang Gliding tandem flights in Rio de Janeiro, Brazil, with experienced and safe instructor Paulo Celani, certified by the Brazilian Hang Gliding Association. Winter activities and experiences including hang gliding, driving, sliding, riding, and climbing. Tandem flights from the sommet de la Vizelle @ 2700m altitude. The official web site of Arctic Airwalkers paragliding club in Alaska. Local USHGA chapter in the San Francisco Bay Area. Information on membership, sites, newsletter, images and movies, training and meetings. Links to webcams and contacts for windtalkers. Based in Portland, Oregon offering a directory of schools, photo gallery, pilot reports, roster, classifieds, and membership details. Information and recent news about paragliding on Oahu and other islands in Hawaii. Organization for pilots in Canada. Offering information on flying sites and instruction. Organization offering services to pilots in New England and New York. Offering flight resources to pilots located in Toronto, Canada. Parent association of organized paragliding in the United States. Membership offers insurance as well as a monthly magazine. Web site offers information on schools, message board, classified advertisements, and an on-line store. Non profit club based at Barton, Manchester. Information on instruction, meeting times and office bearers. Based in the Yorkshire Dales, United Kingdom. Details of office bearers, events, sites with shooting season details and a photograph gallery. Offering pilot membership to pilots in the Aberdeen area. Offering resources to pilots around Newcastle-upon-Tyne, United Kingdom. Website for the Scottish HG and Paragliding Federation. Located in Scotland, United Kingdom offering discussion forum, competitions, pilot profiles, gallery, and links. Avon Hangliding and Paragliding Club official news, calendar of events, and flying diary. Based in Bristol/Bath area of England. The Website of Southampton University Hang Gliding & Paragliding Club. Offering information on the Swedish Paragliding Association. Providing resources for pilots at University College Cork, Ireland. Promoting paragliding and related aerosports in India. Contains information on becoming a pilot. DVDs, videos, books, and CDs about hang gliding, paragliding, ultralites, weather. Makes and sells wind meters and air speed indicators for paragliding and hang gliding. Personal site for links associated with hang gliding and plans for a launch cart for towing hang gliders with my T-Dolly design. Featuring sales of the book "Hang Gliding Spectacular (Fantastic Flying Stories From The Hearts of Those Who Live The Dream)", which includes a Photo Video CD, and other hang gliding books from Skydog Productions and Bob Grant Productions. Hang gliding equipment including camera mounts specifically designed for hang gliding.